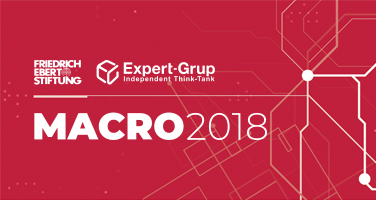 The Independent Analytical Center Expert-Grup in partnership with Friedrich-Ebert-Stiftung Moldova is launching today, October 19th, within the sixth edition of the MACRO international conference, the State of the Country Report 2018- a comprehensive radiography of the economic and social situation of the country. This year's edition of the report addressed as special topic the role of investments in the country's economic development, which is also the central topic of the MACRO 2018. Read here the State of the Country Report , including its key messages and recommendations. The FES maintains offices in 33 countries of Western Europe, Central and South-East Europe, the CIS-countries, and also in the USA and Japan.